A Mayo Clinic research team with substantive support from to the Center for Individualized Medicine received a four-year, $3.4 million grant from the National Institutes of Health (NIH) to study the genetics of two common genetic disorders. The Mayo investigators successfully renewed the Mayo Electronic Medical Records and Genomics (eMERGE) grant to enter into the third phase of the eMERGE Network. In all, the NIH awarded over $48.6 million in research grants over the next four years to support groups working under the eMERGE project. 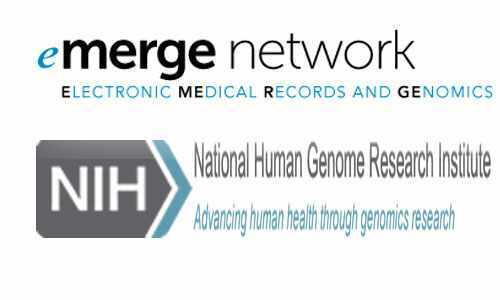 The eMERGE Network is funded by the National Human Genome Research Institute (NHGRI) to enable discovery and implementation of electronic health record (EHR)-based genomic medicine. In phase III the network will focus on moving genomics research closer to clinical application by identifying the potential medical effects of rare genomic variants in about 100 clinically relevant genes. Led by principal investigators Iftikhar Kullo, M.D., and Stephen Thibodeau, Ph.D., the Mayo research team plans to focus on understanding the public health implications of familial hypercholesterolemia and familial colorectal cancer. Investigators will examine the DNA sequences of 100 disease-relevant genes in 3,000 participants with moderate-to-severe hypercholesterolemia or colon polyps. They will determine which genomic variants are most likely to contribute to these disorders, and which should be discussed with patients, families and physicians. They will also examine the economic implications and behavioral and psychosocial consequences of providing such information. 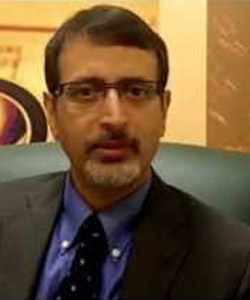 “By focusing on two common genetic disorders — familial hypercholesterolemia and familial colorectal cancer, we will begin to translate genomic discovery and implementation efforts in eMERGE to public health genomics,” says Dr. Kullo, Cardiovascular Diseases, who is co-principal investigator on the grant. “Additionally, we will partner with a community-based practice serving a low-income minority population in the Phoenix area to address concerns about health care disparities in the context of genomic medicine,” adds Dr. Thibodeau, Laboratory Medicine and Pathology/Medical Genetics, the second co-principal investigator on the grant. Dr. Thibodeau is also co-director of the Biorepositories Program, one of CIM’s signature programs. 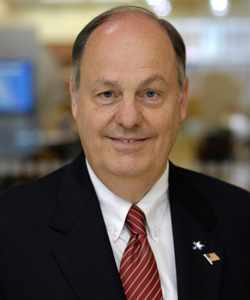 The Mayo Clinic grant is one of a dozen such awards from the NIH to support research that incorporates DNA sequence information into electronic medical records. The goal of research conducted by eMERGE network is to better understand the genomic basis of disease and to tailor medical care to individual patients based on their genomic differences. Researchers will look at the best ways to provide DNA sequencing results to physicians and patients, she said, and ways in which doctors might use this information to improve clinical treatment and practice. These funded researchers will also examine the psychological and economic effects on patients and families, and the effects on healthcare systems, in using this information.